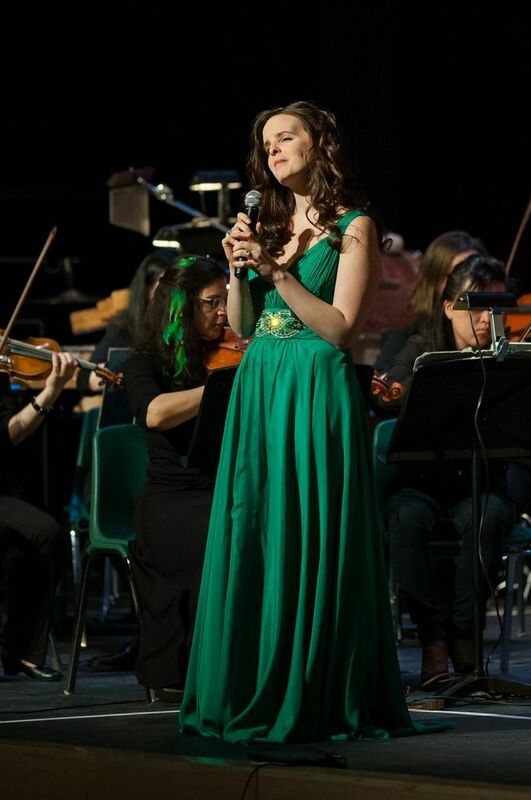 Recently Kaitlyn has been invited as featured vocalist alongside conductor Sarah Ioannides Hartmann in a captivating collage of song, pipe and dance lovingly assembled by Sarah Ioannides herself — featuring music of Enya, Riverdance, Titanic, and more; she has taken the world by storm with her ethereal, Celtic-tinged vocals. Alongside her is the unique talents of Tony-award winning actor and dancer Trent Kowalik and Tour de Tap, a concerto for orchestra and tap dancer by composer Kim Scharmberg. Dreams Really Do Come True features the music made famous by the young Judy Garland in the MGM classics of the 30’s and 40’s. With classics like The Trolley Song and Over The Rainbow as well as lesser known gems like In The Valley, Kaitlyn brings her own brand of entertainment and musicianship. Kim Scharnberg’s exiting new arrangements are brought to life by Kaitlyn and her remarkable band. 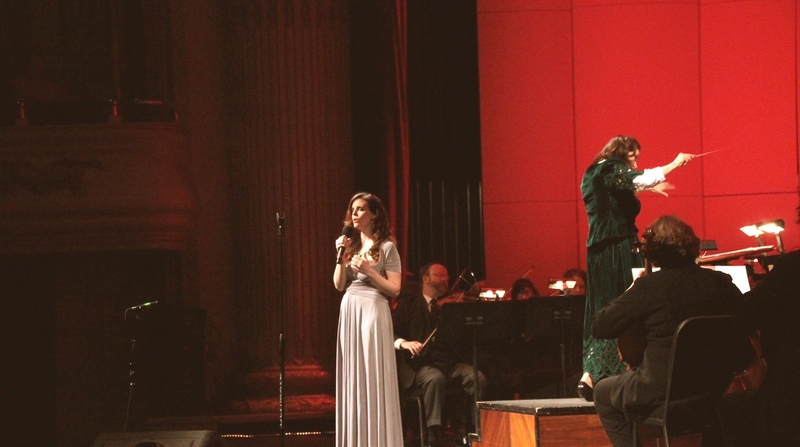 The highlight of the ‘Judy Garland and the Golden Era’ concert was vocalist Kaitlyn Lusk, who delighted the audience…At a mere 18 years of age, Lusk has a commanding stage presence with the vocal timbre to back up her confidence. 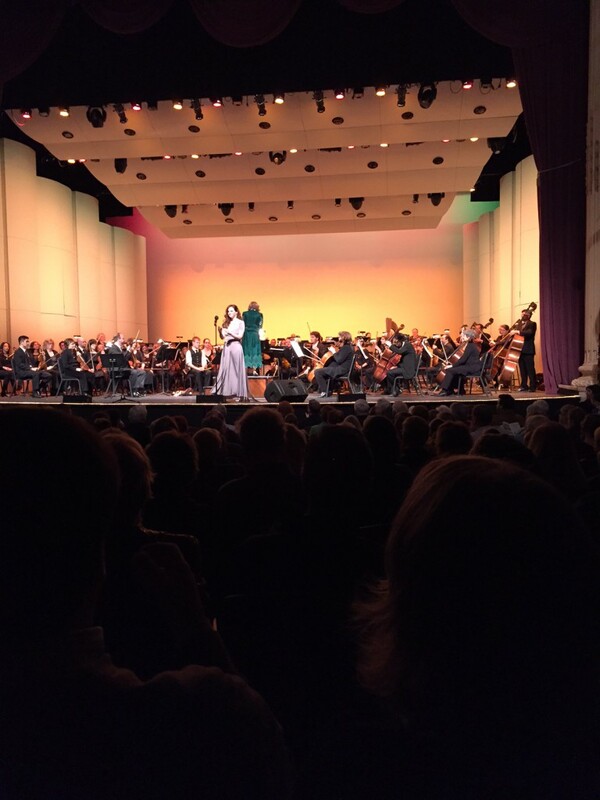 Though Lusk has strong control of her rich voice, her playful repartee with the conductor showed that she is foremost an entertainer…For those concerned about the future of the arts and entertainment, Lusk is an auspice of hope. 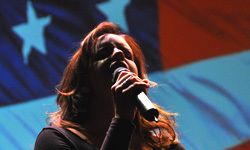 The audience gave her an ovation that drew an encore.